On a gray, wet morning, I made my way to the Nesbett Courthouse and rode an elevator to a fifth-floor courtroom. I had come to see a man sentenced for first-degree murder. I didn't know the convicted murderer nor did I know the man he shot multiple times at a Fourth of July barbecue in 2016, Jorge Rea-Villa, 30. An hour and a half after the clerk of court called "All rise," Judge Catherine Easter sentenced 35 year-old Trayvon Morrissette to 99 years. Murder is in the news every day. What murder does to the survivors of the victim is not. I attended the sentencing because I know the victim's father, Jorge Rea-Villa Sr. He is a cab driver whom I met through his work. 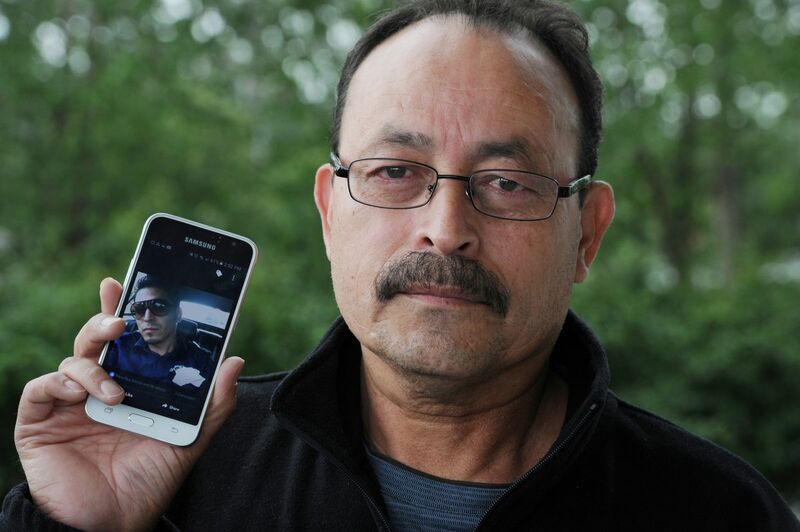 Jorge Sr. spoke at sentencing, before maybe 30 people, muted grief struggling to be heard. He finally said "It has been 822 days since my son died," a numbing revelation. I imagined him waking up every morning adjusting the count. Apparently the shooter, Morrissette, is a meth user who, while mortified by what he had done, could not explain why he had killed someone he knew a year or more and had no beef with. The two men were at a gathering of friends. Morrissette, a stocky man in yellow prison garb, didn't look or sound like a murderer when he spoke to the court. But then what does a murderer look like? In the late 19th century, police officials believed murderers could be spotted by the shape of their heads, gleam in their eyes — physical type. If you gave officers a box of photographs, they would find the murderer as well as the "sneak," another identifiable type. Judge Easter was firm when imposing the sentence: "No drugs, no firearms, no murder." She said versions of this phrase at least three times. People often obtain a firearm to protect themselves from danger. Some never understand reality — they are the danger, and they endanger themselves and others the moment they enter a room. After the younger Rea-Villa died, I rode with his father a number of times. He took me to my office, home, to a store and so forth. During the rides, he would update me on the murder case. I can't recall how I indicated I was a listening ear, but I did, probably by asking a few questions. Jorge Sr., a medium-build man apparently in his fifties, spoke in two voices. The broken voice of the bereft father, and the frustrated voice of the survivor cast adrift in the criminal justice system. From his perspective, the criminal justice system was unsympathetic, unresponsive, and above all, slow. Not everyone in the system, not always, but too often. " 'Why does it take so long?' he asked wearily. My halting explanation — really a guess — about due process, the rights of the accused to muster a defense and the bureaucracy associated with courts, left him shaking his head. A broken heart doesn't want to hear about due process, rights of the accused and bureaucracy. Not only was the subject matter of our conversations unusual, so was the setting. When he was driving the cab and I was in the back seat, he was talking to me over his shoulder, and I was responding to the back of his head. After the court system set the date for sentencing, I told Jorge Sr. I would be there. Anton Chekhov wrote a short story about a cab driver's grief. The setting is 19th-century St. Petersburg. An elderly cab driver's son has died. The man is in despair, but he continues to drive. It's Russian winter so his cab, pulled by a horse, is a sleigh. The driver picks up fares like any other day but unlike any other day, he attempts to tell the fares about his loss. The passengers want to go to their apartment or a shop or a government ministry or a fashionable hotel for a tryst. They blow him off. The story has an ending the reader cannot see coming. After his shift, the driver takes the horse and sleigh back to the stable where he keeps them. He puts the horse away in a stall, feeds him, and before leaving for the night, wraps his arms around the horse's neck and weeps. Only the horse will listen, and the horse, while uncomprehending, is alive and warm. Chekhov has shown us how indifferent to suffering the world can be. But his story is fiction. There was no St. Petersburg cab driver. This cab driver lived in Chekhov's head. But the Anchorage cab driver is real — counting the days of a tragedy that, unlike Chekhov's, never ends. The Irish writer Benedict Kiely said "The dead hover over the living." There is no way to prove this. But I am certain, absolutely certain, Kiely is right. Michael Carey is an Anchorage Daily News columnist.